1 portugal | This Blog Rules | Why go elsewhere? African elephants, the Egyptian sphinx, Batman, Spiderman, the incredible Hulk and also other super heroes, movie and TV show characters are just some of many giant sculptures transforming a seaside resort. 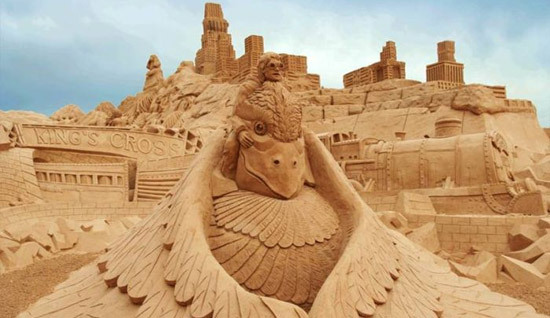 The most amazing part about this is that the sculptures are made entirely out of sand.